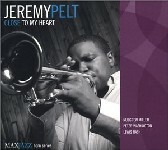 Jeremy Pelt has the most beautiful trumpet tone exercised today. 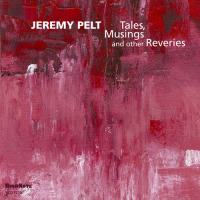 One needs to listen no further than his cover of Mingus' "Weird Nightmare," where one cannot distinguish his trumpet from his flugelhorn, save for a period in the middle section. On this piece, Mr. Pelt's tone is round and buttery warm in the first and third sections and simmering in the middle. Backed by a string quartet on several pieces, a "with strings" connotation would not have been off base. In fact, this disc would be comparable to Chet Baker with Strings had Baker had a modicum of Pelt's creative sense. 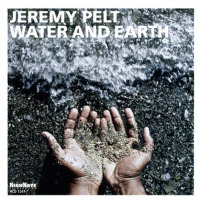 Pelt modulates between these two provocative personalities for the remainder of the disc. Pepper Adams' "Excerent" is a low key quartet stroll, with Mulgrew Miller providing impeccable hard bop accompaniment. Peter Washington and Lewis Nash provide the bass and drum parts of this fine rhythm section. 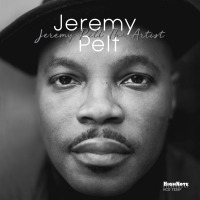 Pelt's trumpet is fluid and soft, but by the time he takes on "Take Me in Your Arms" he has acquired a Freddie Hubbard edge to his tone that is at once demanding and authoritative. "502 Blues" frames Pelt's perfectly round flugelhorn, as does his solo treatment of Ellington's "Don't You Know I Care." This formula continues to entertain throughout the remainder of this year-end-list disc. 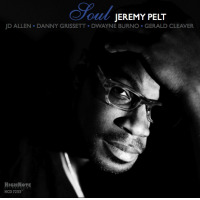 For more information, visit Jeremy Pelt and MaxJazz Records on the web. Track Listing: Weird Nightmare; Excerent; Take Me In Your Arms; 502 Blues (Drinkin' & Drivin'); All My Life; Don't You Know I Care; Pioggia Di Perugia; It's A Beautiful Evening; This Is The Moment; Why Try To Change Me Now? ; In Your Eyes. 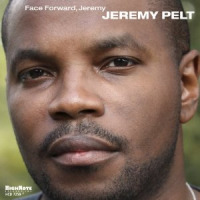 Personnel: Jeremy Pelt: trumpet; Mulgrew Miller: piano; Peter Washington; bass; Lewis Nash: drums.